So Christmas is over (as is our 12 Days of Christmas Giveaway), but New Year's Eve is right around the corner! We already shared with you our love for sparkly dresses, but you don't need a big New Year's Eve wedding to sparkle at midnight. There are many ways to add some shine without wearing sequins from head to toe. 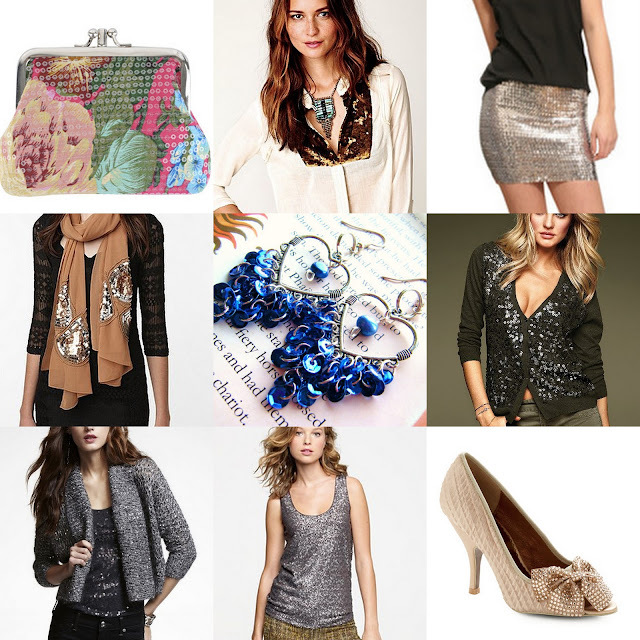 A sparkly clutch, a glittery blouse, or sequined skirt can go a long way to jazzing up an otherwise tame ensemble. Here are just a few suggestions to get you started.